Comptoir Du Cacao is a French family run artisanal chocolate factory. 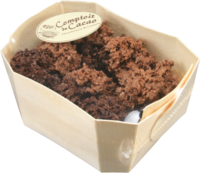 One of my favorite chocolate offerings from the New York Chocolate Show was from Comptoir du Cacao, a French, family-owned small batch chocolate factory. The good news is Zabars is going to be carrying their chocolate going forward. And to kick things off, they are having tastings today (Sunday, Dec 11) and on December 17 and 18th. Comptoir du Cacao offers single-origin chocolates from pure cacao butter with unique flavours and textures. Our favorite from the show were the “flaky pralines” available in hazelnut and butter-salted caramel flavours, winners of the 1st and 2nd prize at the Paris Chocolate Show. 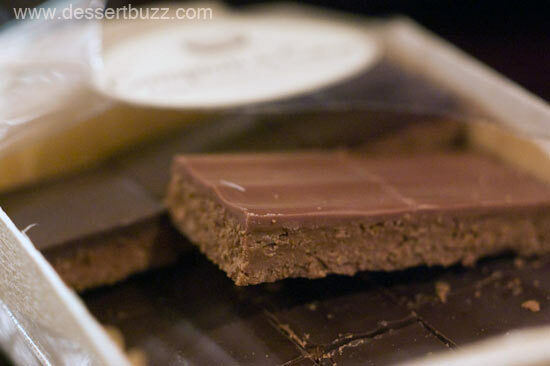 Comptoir du Cacao also sells an organic line of chocolates. Zabars is located on Broadway between 80th and 81 Streets. Comptoir du Cacao’s website is here. Follow DessertBuzz on Twitter. The City Sweet Tooth » Sweet Links of the Week – 12/16!